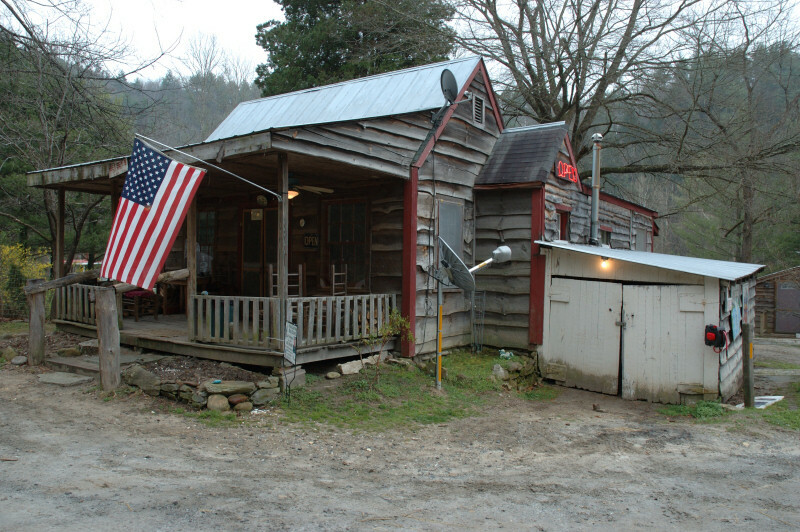 My children and I visited Betsy�s Ole Country Store in Mortimer, NC recently on an outing in the Mountains. I visited the store when I was around twelve years old with my parents. That was in 1968. At the time, an older lady was running the store and her home was adjacent to the property. The area is one of the most remote in North Carolina and customers were few, and far between. The nearest paved road is nearly twenty miles away. A button near the door rang a bell in her house to alert her that customers needed service. I understand from conversations with the current owner that the former owner is alive and well. Mortimer was home to a textile manufacturing plant built nearly 100 years ago. The mill washed away by flooding twice during the early 1900�s and not rebuilt after the second flood. I encourage anyone to visit the area. A state sponsored campground is located there and visitors can still see the remains of the old mill. Photographs of the mill will follow as TrekLens rules permit for anyone who is interested. This is neat to see an old,out of the way, rustic store like this that has sattelite tv. Like the POV you've chosen. DOF is good. Interesting note. Looking foreward to seeing more. Nice old country store. I like the dishes in the front you can see this is a somewhat modern country store.